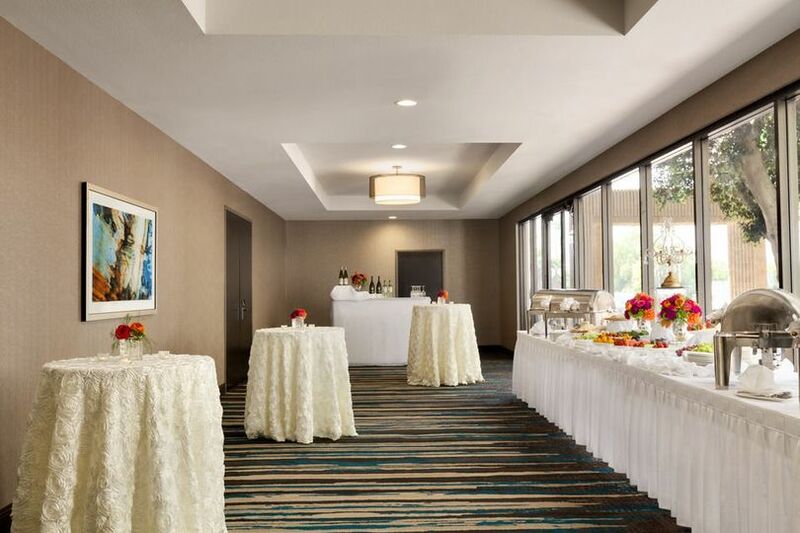 The Doubletree by Hilton San Bernardino is a full-service hotel wedding venue located in San Bernardino, California. 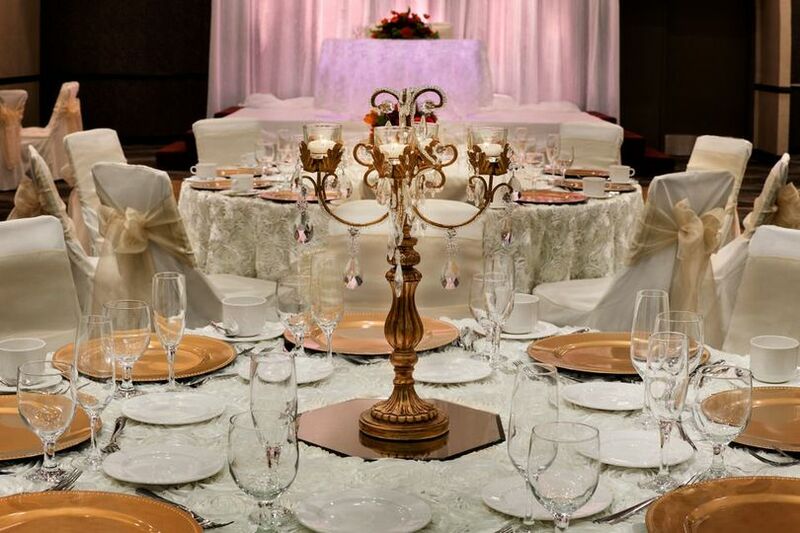 With more than 10,000 square feet of flexible and versatile space to host your wedding, this classic venue is a one-stop shop. 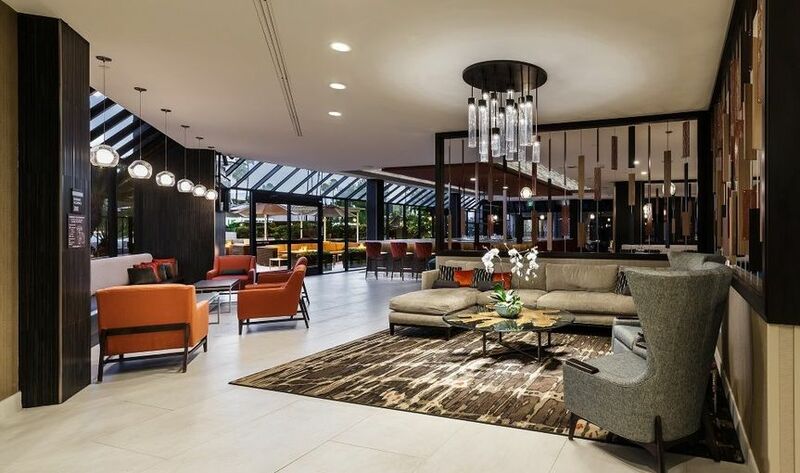 You and your guests can stay overnight at the hotel during the duration of the wedding events as the ceremony, reception, and rehearsal dinner can all be held at the same venue. 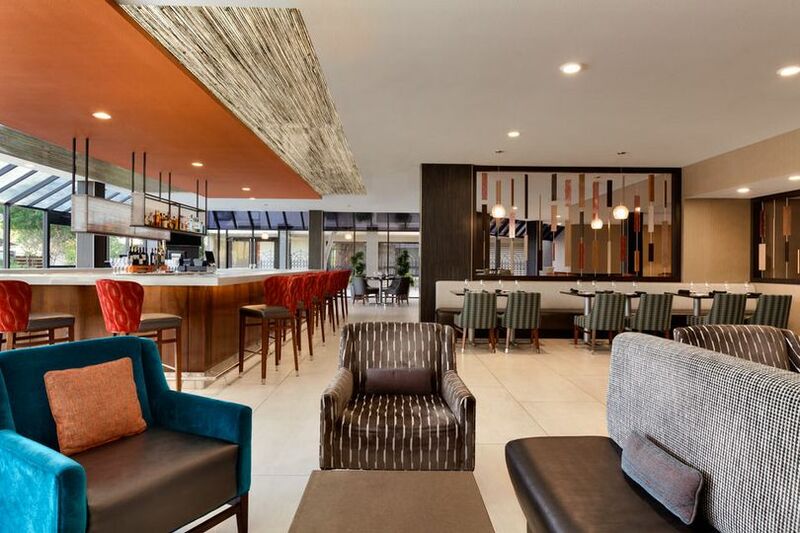 The Doubletree by Hilton San Bernardino accommodates up to 400 guests. 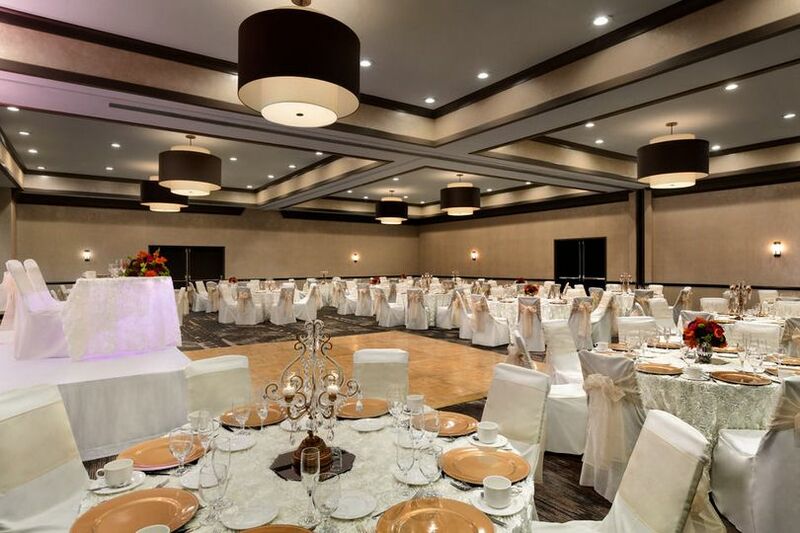 The large ballroom is classically designed and ready to be transformed and customized to fit your wedding style and vision. 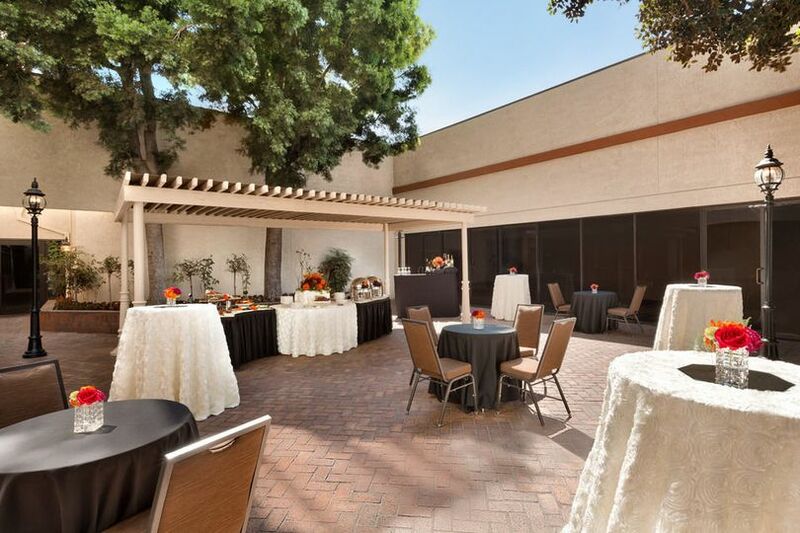 The outdoor spaces can host your wedding ceremony and cocktail hour and are filled with beautiful trees and a pergola. The hotel has ample parking available and is wheelchair accessible. 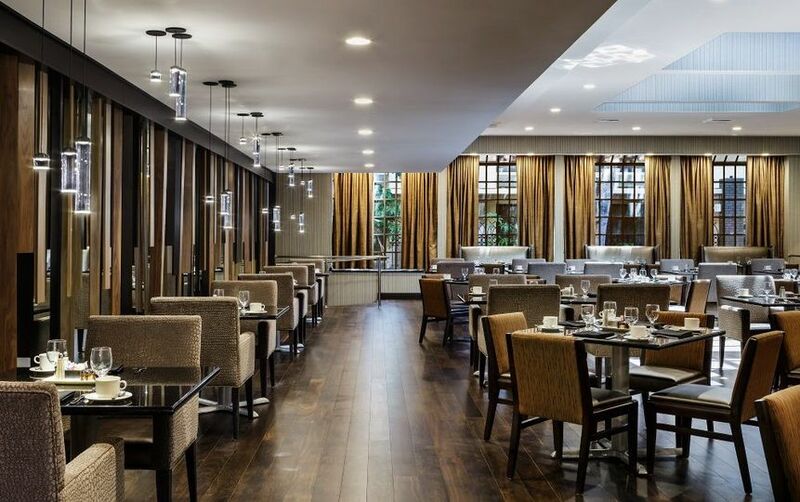 Couples may also use the hotel to host any pre-wedding events including a bridal shower and bachelor/bachelorette parties. 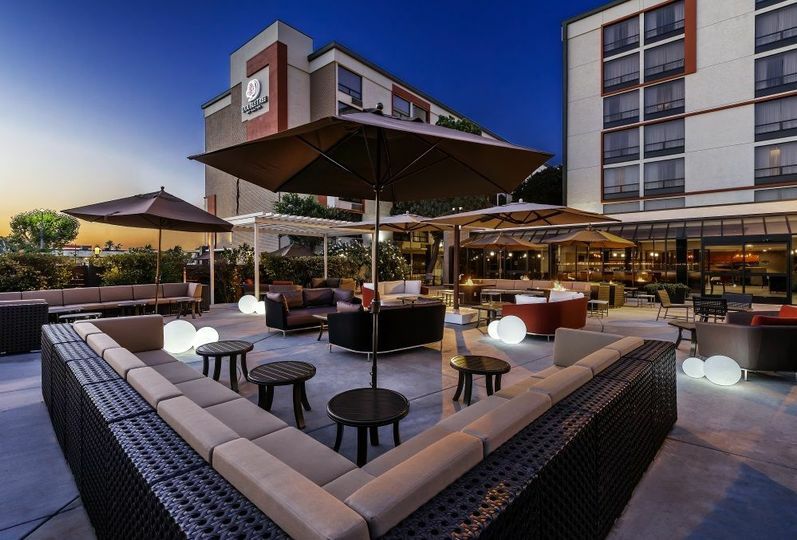 The hotel is located in the business district of San Bernardino. 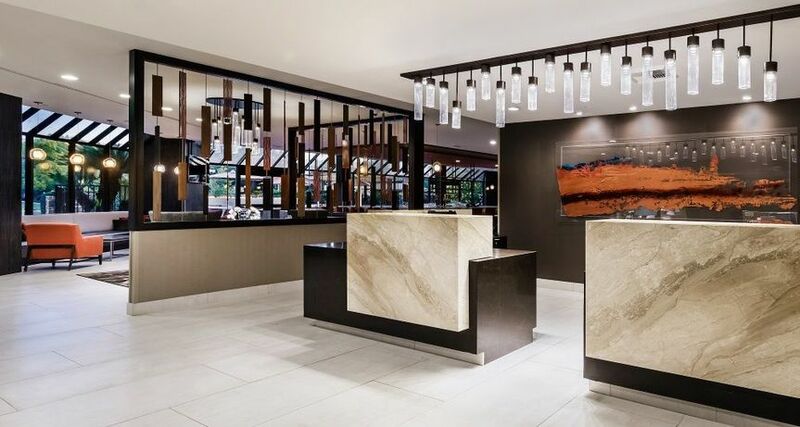 There are numerous cities close by such as Redlands, Riverside, Colton, and Highland, just to name a few, but the DoubleTree is the only full-service hotel in the surrounding areas. The San Bernardino International Airport is just a short three miles away for out-of-town guests.